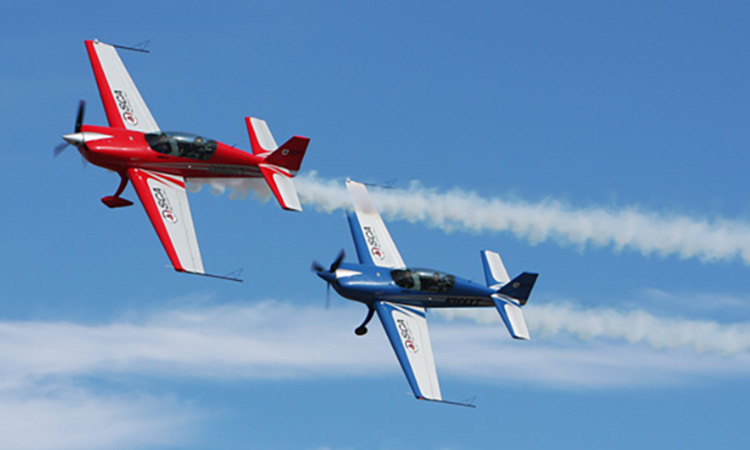 Experience the glory days of aviation with Sky Combat Age packages from City VIP Concierge. Nothing compares to being at the controls, pulling Gs, and squeezing the trigger as you dip and roll through the air. 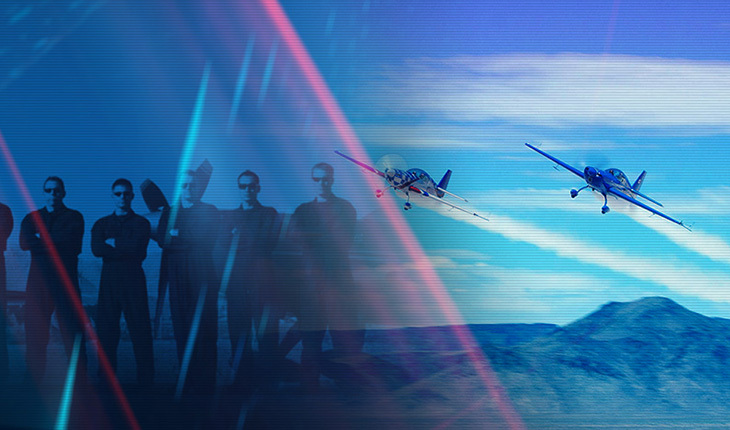 Las Vegas sky combat is truly unlike anything you’ve ever known—ride along with an expert flight instructor, watch your friends duke it out or, for the truly brave, take the controls yourself and live out your fighter pilot dreams. 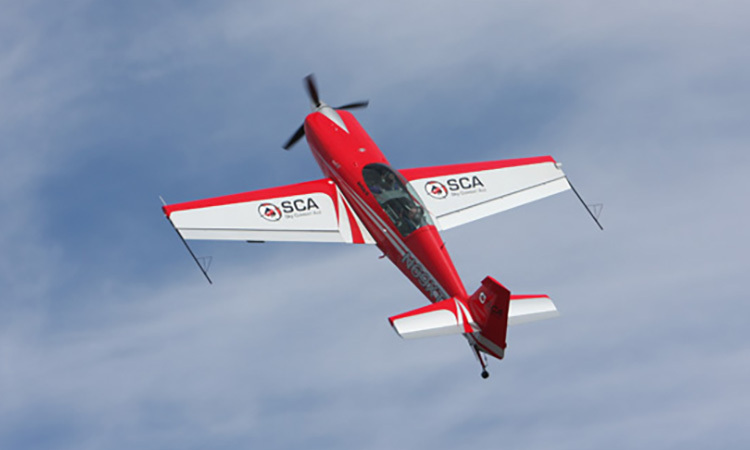 Want to watch the aerobatics from the best seat in the house—an airborne platform? Get a taste of the sky without being in the middle of the action, and clap and cheer as your friends have a go at air-to-air dog fighting. Plus, your pictures will be out of this world! 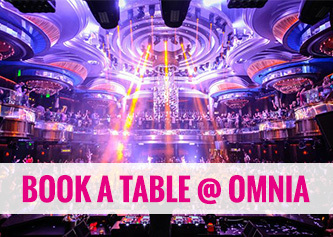 Limited seating, so check for availability. 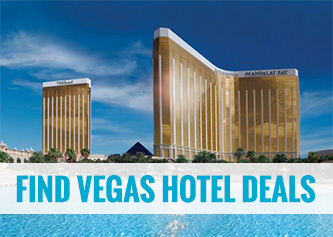 The most extreme thrill ride in Las Vegas! 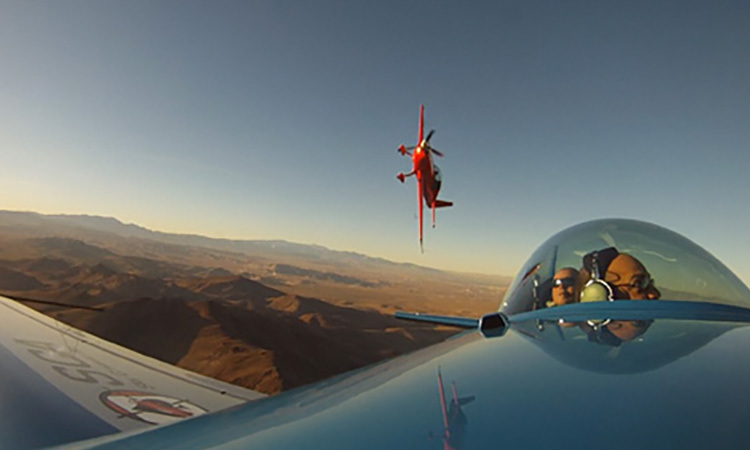 It’s full of nonstop spins, rolls, loops, and heart-pounding action—if you’ve ever wondered what it’s like to fly the acrobatics of an airshow, you’re about to find out. You’ll be paired up with one of our expert instructors, who will take you on the roller coaster ride of your life in one of our brand-new Extra 330LCs. Hang on for dear life as your instructor demonstrates more than 20 minutes of hammerheads, tail slides, and—for those crazy enough—a Lomcevak tumble. 3 hours door to door with complimentary transportation. With almost twice as long in the air as the Afterburner, Top Gun is not for the faint of heart. Our instructor pilots demonstrate maneuvers, and then turn the controls over to you. 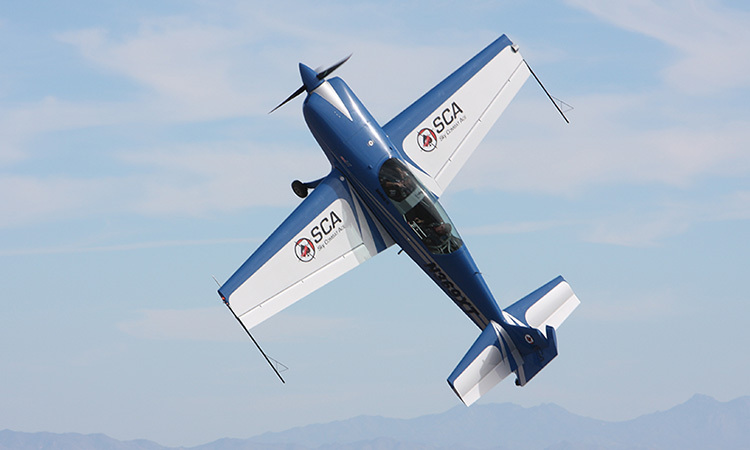 After only a small amount of training, you’ll be looping, tumbling, and spinning like a pro—even if you’ve never flown a plane before. You’ll also do dynamic low-level mountain flying, to truly make this the adventure of a lifetime. Fighter pilot dreams come to life as you discover for yourself the challenge of shooting another airplane out of the sky. Take the controls and use air combat techniques developed from the earliest days of the Red Baron. You don’t need any experience; our expert combat fighter pilots will teach you basic maneuvers. Then it’s up to you to outmaneuver your opponent and get the kill! 5 hours door to door with complimentary transportation. If you want to do it all, this is the package for you. 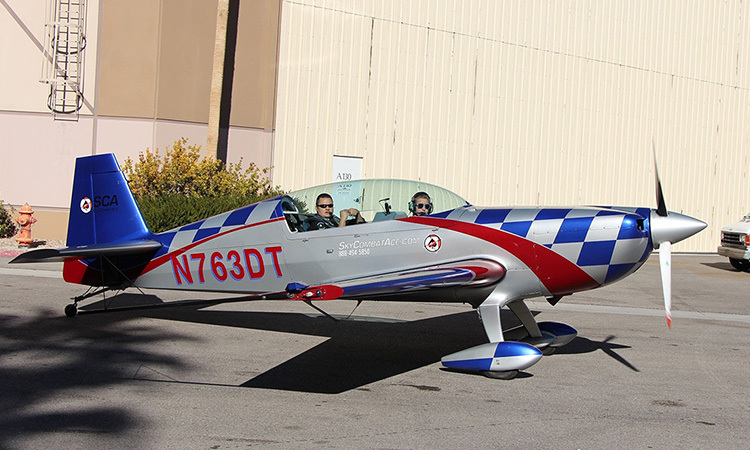 You’ll experience the ‘Ace’ simulator, the aerobatics of the Afterburner, Sky Combat air-to-air dog fighting, and then a low-level flight through the beautiful mountains and valleys surrounding Las Vegas. It all ends with an element surface attack mission against a ground target. It’s the best of what City VIP Concierge offers, and is only for those who want the ultimate adrenaline rush. BOOK YOUR AERIAL ADVENTURE WITH US TODAY!